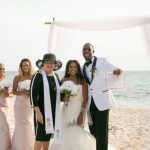 Part of being a company which specialises in "simple, elegant and personalized" Grand Cayman beach weddings is being able to give the couple the details they want for their Cayman wedding. We have always been able to offer chuppahs and arches from other vendors, but lately the cost of both of these have skyrocketed to the point that I have almost been embarrassed to quote on these items. 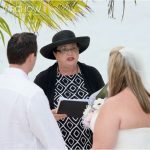 Simply Weddings - Grand Cayman Wedding Celebrants and Planners have always been about giving great service, and great value for your Cayman Destination Wedding. 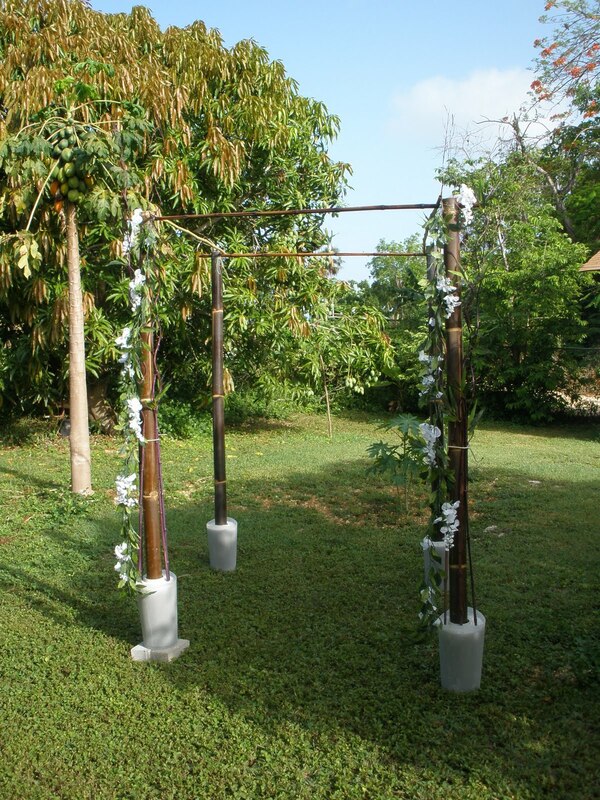 So the challenge was how to build a DIY chuppah which would be portable, easily erected on the beaches we use yet elegant enough to fit the whole ethos of our company. Fortunately for me, my husband is a DIY enthusiast. His job was the design of said chuppah, and my job was to find the materials. My secondary role was to research the findings of other DIY chuppah makers, and for this I turned to my colleagues on the Bridal Tweet Forums. 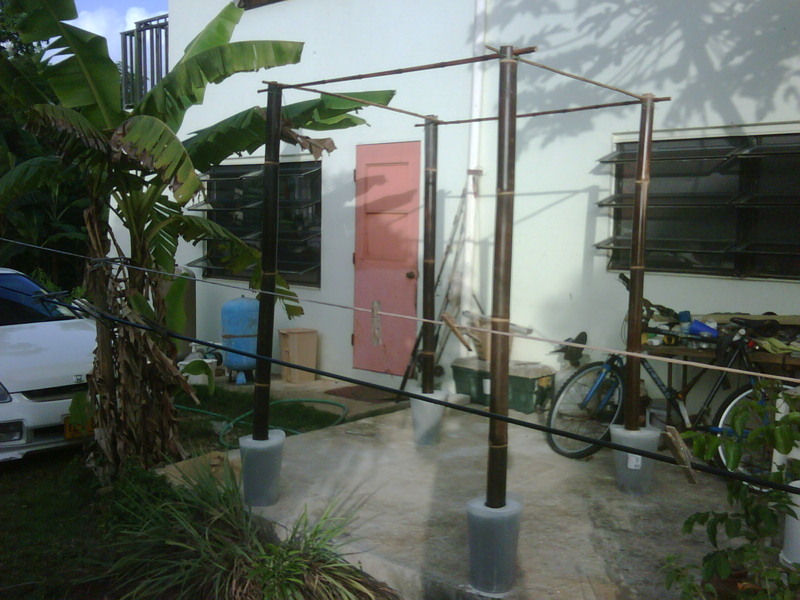 The biggest challenge was to find a way to anchor the bamboo frame in loose sand. Some people recommended tin pails filled with pea-gravel. This was the break through we were looking for. Unfortunately this method was simply too cumbersome, and difficult to transport over multiple uses. It did lead to a solution which was more in keeping with our circumstances. This is a picture of the finished chuppah as I will use it for a garden wedding at my house. 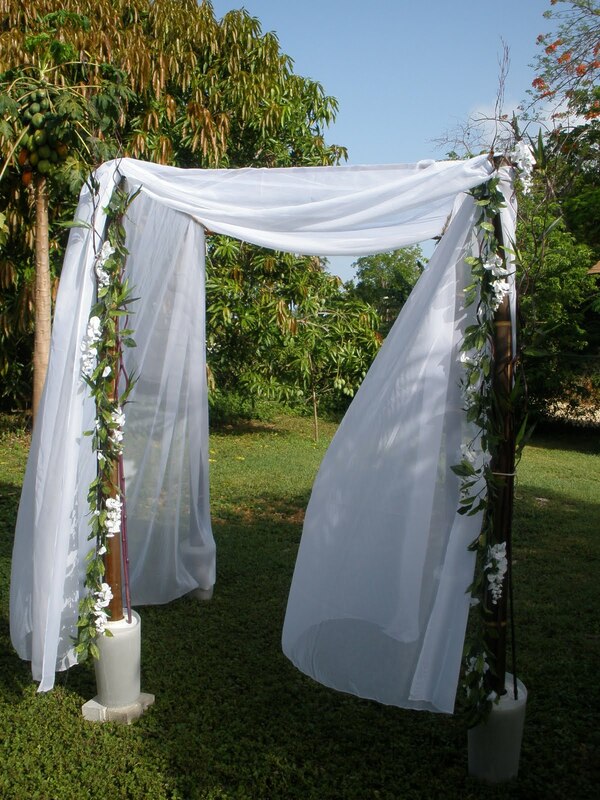 The chuppah covering can be changed as required. You can add fresh or silk flowers, or have no flowers. 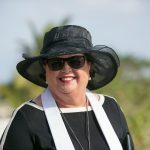 Call Joy or Peggy to customise your Grand Cayman wedding +1 (345) 9499933. 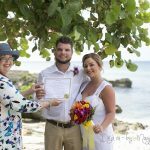 Simply Weddings - Grand Cayman Wedding Celebrants and Planners, your choice for visitor and residents' weddings in the Cayman Islands.